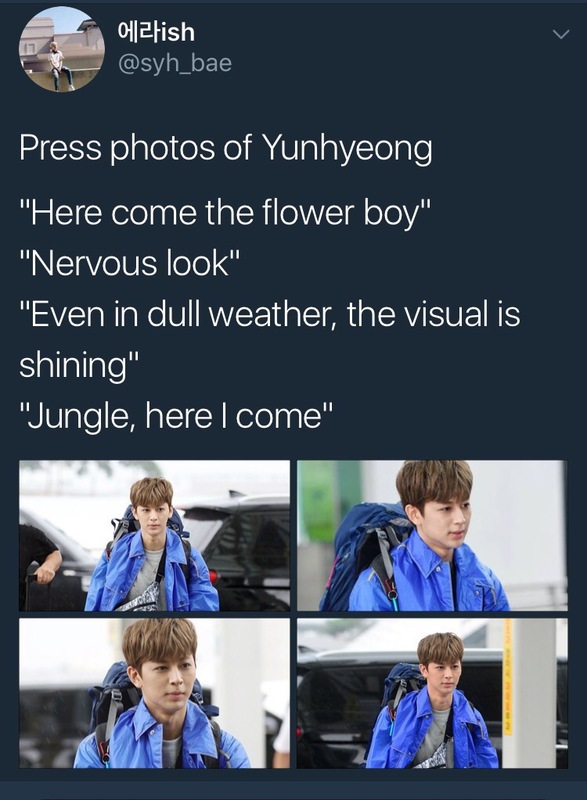 iKONICs rejoice as previews from Fansite Masters confirmed the good news that Song Yunhyeong has safely returned to us from the wilds of Fiji, New Zealand! 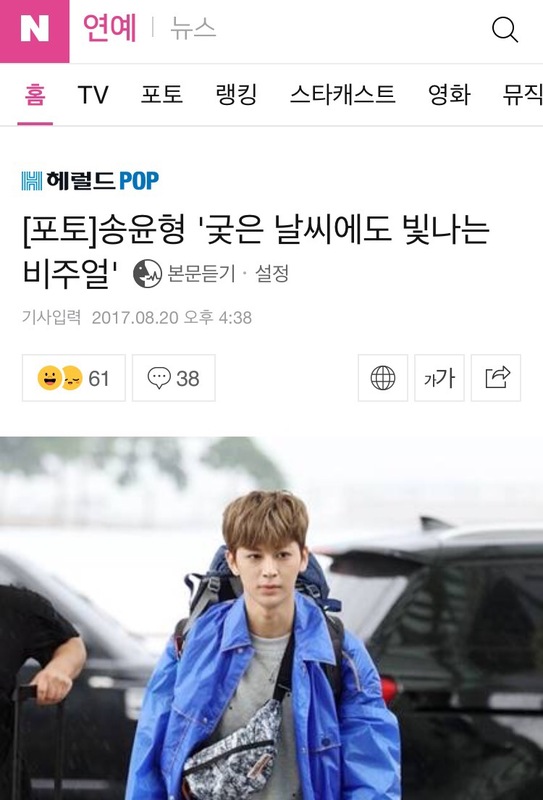 Yunhyeong left for New Zealand 5 days ago on August 21st to embark on his debut solo Variety appearance as part of the cast of SBS’ Law of the Jungle! His activities have been a mystery since then but as iKON (minus Bobby who flew in from LA) who are scheduled to perform at A Nation today, left South Korea for Japan without him yesterday, fans wondered if they would have to perform without their high note specialist. Fans were profoundly relieved when he finally showed up at Hanada Airport looking a little tired and slimmer but safe and sound! We do hope he will get a chance to rest a little before climbing A Nation’s famous stage later today. Thank you to the hardworking and passionate Fansite Masters that captured his return for us. Posted on August 26, 2017 August 26, 2017 Author Indigo RadioCategories Airport, Japan, varietyTags Airport, Fiji, iKON, law of the jungle, SBS Law of the Jungle, Song Yunhyeong, variety, Yoyo, Yunhyeong1 Comment on YOYO’S BACK! Song Yunhyeong, iKON’s high note specialist also known as iKON’s official visual was praised highly on various media platform for his flower boy good looks upon arrival at Incheon Airport yesterday Sunday, August 20th, to join the cast of Law of the Jungle for their flight to Fiji. 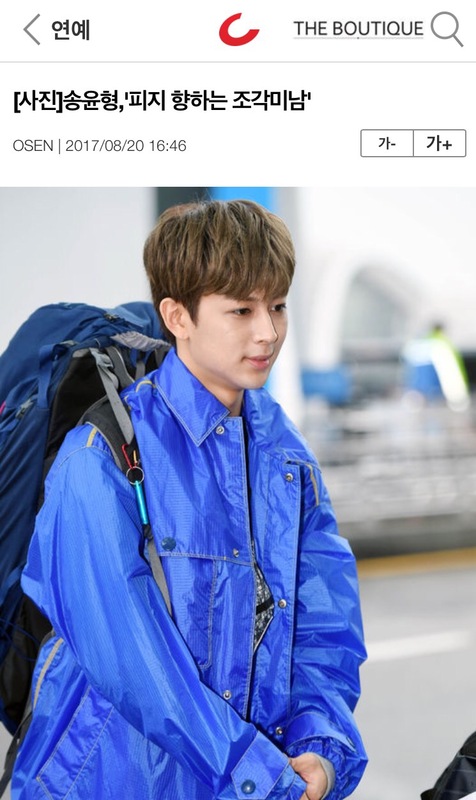 Yunhyeong arrived at the Airport carrying a structured back pack over a long blue weather proof jacket under which he wore a tshirt under a jumper and shorts. The look was finished off with a black and white, acid wash fanny pack slung casually over his chest. In this look iKON’s “Plan Man” seemed indeed effortlessly ready for an outdoor adventure! 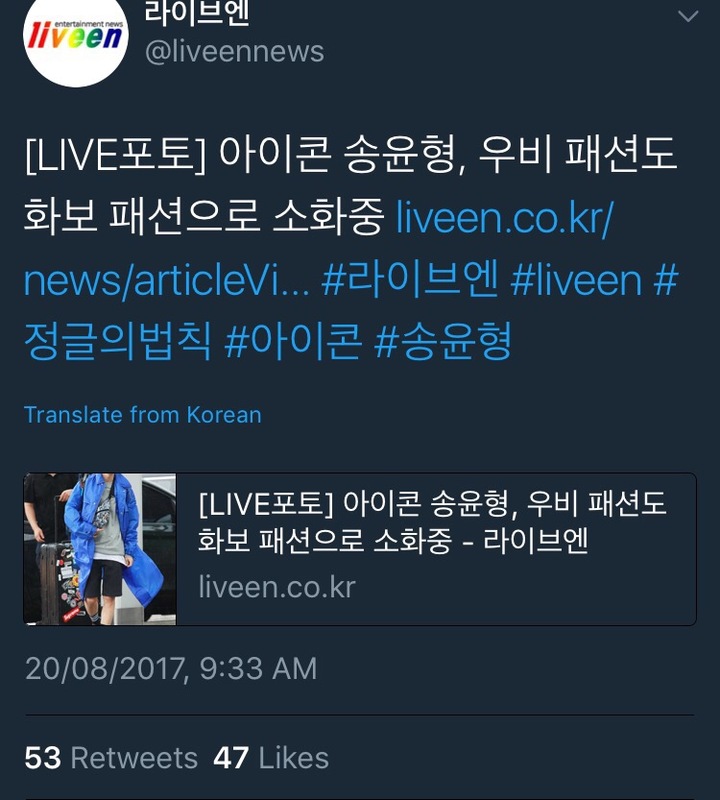 The media seemed as bowled over by the young idol’s striking visuals as fans as headlines featuring Song Yunhyeong’s arrival popped up! Fansites not just for Yunhyeong but also other iKON members showed up to see him off and would also capture as Yunhyeong later showed that his beauty is not only skin deep with his well mannered gestures and thoughtful conduct while at the airport. The media and fans were definitely on the same page on this one! iKONICs are proud of Song Yunhyeong and wish him all the best in Fiji! Earlier today, Yunhyeong, together with the cast of Law of the Jungle, headed to the airport to catch a flight to Fiji where they’ll be filming for the variety show for the next couple of days. Photos from the members showcased them sitting at a cafe while waiting for their flight. 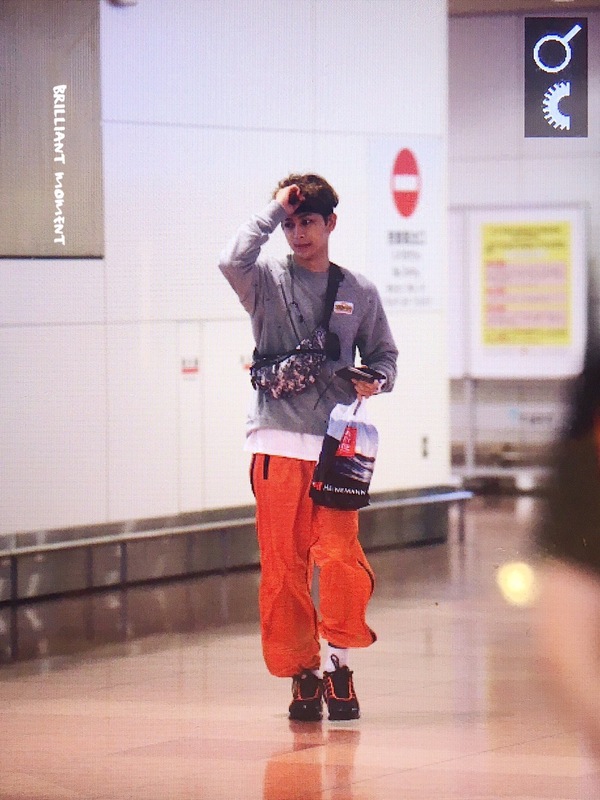 When the members were all heading to their gate to catch their flight, Yunhyeong took the time to clean the table by himself as well as pick up any stray trash under the table. This kind act did not go unnoticed by the fans who came to the airport to wish the members a farewell and a safe trip. Yunhyeong, amongst iKON, is known for having such a kind soul and always being aware of his surroundings. This further proves that. 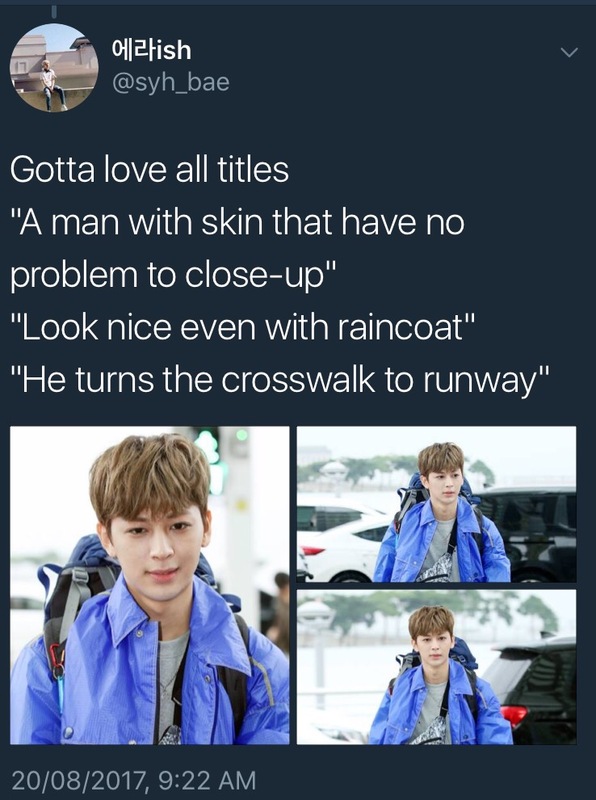 Thank you Yunhyeong for being a good citizen! Be sure to tune in during Law of the Jungle and see how Yunhyeong does in his first ever solo variety!